Wastequip, Inc., a leading manufacturer of waste handling and recycling equipment, today announced that John G. Scott has been named President and Chief Executive Officer of the Company, effective immediately. Most recently, Mr. Scott served as President of Wastequip's Specialty Group. Scott joined the company in April 2007 following its acquisition of Toter Incorporated, of which he was President and CEO. Mr. Scott succeeds Robert C. Rasmussen, 66, who is retiring after a nearly 50-year career in the waste equipment industry. Mr. Rasmussen, who has served as CEO of Wastequip since 2001, will be available to the company in the future on a consulting basis. He joined Wastequip in 1992 following its acquisition of Accurate Industries, which he founded in 1973. Mr. Scott said: "I am honored to be named CEO of Wastequip at this important time. As the only national supplier in the waste collection equipment sector, Wastequip is well-positioned for long-term success with an extensive line of high-quality products and longstanding customer relationships. I look forward to working with all Wastequip employees to continue to design, manufacture and deliver innovative, high-quality, products to our customers in a cost efficient manner." "We are grateful to Bob Rasmussen for all of his many contributions to our company over the years. Bob has played a crucial role in Wastequip's continued success and we wish him the very best in the future." Mr. Rasmussen said: "Since joining Wastequip, John Scott has demonstrated exceptional business skills, drive and leadership. I am delighted that Wastequip's future is in his capable hands. I thank all of my colleagues for their hard work on behalf of Wastequip over the years and for their friendship." 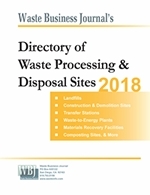 Founded in 1989, Wastequip is North America's largest designer, manufacturer and marketer of equipment used to collect, process and transport solid, liquid and semi-liquid waste and recycling materials. The company manufactures more than 200 different products that are used in factories, residential complexes, retail chains, and construction and demolition sites. Headquartered in Cleveland, Wastequip serves national, regional and local waste haulers, municipalities and retail chains through manufacturing facilities located across North America. 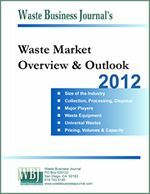 For more information on Wastequip, visit www.wastequip.com or call 216-292-2554.